Two West Papuans from 'Catholic Youth Group' were brutally shot dead by Indonesian soldiers who were being denied access to the church, the Cathedral Parish of the Three Kings in Timika, where a traditional celebration was ongoing. The atrocity has been denounced and severely decried, among others, by the Secretary General of Pacific Council of Churches, Rev. Francois Pihaatae. 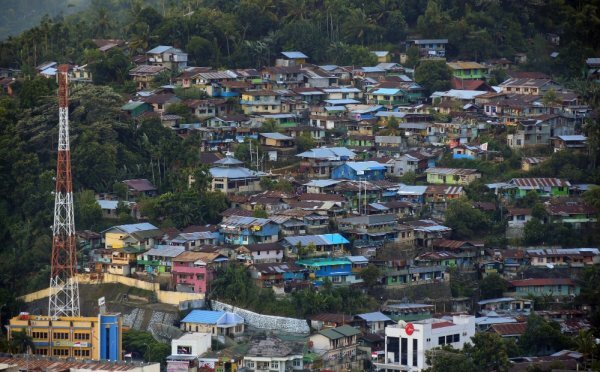 Pacific churches have condemned the killing of two West Papuans in shooting involving Indonesian soldiers, last week. They have called on regional leaders to speak out against summary killings, torture and human rights abuse in the Indonesian region. The church says reports from Timika in Mimika Regency say a group of Special Forces troops shot dead two members of the Catholic Youth Group at the Cathedral Parish of the Three Kings in Timika. At the time the Kamoro people were performing traditional rituals. The Council says the soldiers, who were refused entry to the area, went to their barracks, returned with weapons and fired on the group. The General Secretary of the Pacific Council of Churches, Rev Francois Pihaatae, says the killings were uncalled for and an indication of Indonesia's contempt. He says Pacific leaders have a duty to speak out, especially those who have invited Indonesia into the Melanesian Spearhead Group.